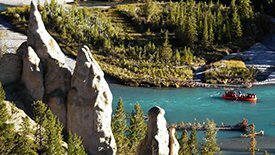 Voted one of the most beautiful places on earth, Banff provides unspoiled wilderness, luxury accommodation, and opportunities for active exploration among the snowcapped peaks of the Canadian Rockies. This thriving UNESCO World Heritage site has a lot to brag about: unsurpassed scenic beauty, pristine glacial lakes and roaring waterfalls, and alpine meadows and serene forests. 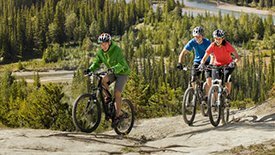 The incredibly varied terrain offers one wilderness adventure after another. 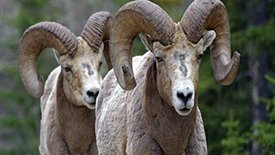 Encounter wildlife such as elk & big horn sheep on hiking excursions, snowshoe with a naturalist, or explore the Canadian Rockies on skis. Finish the day with a Wild West Whoop up in one of Western Canada's most unique venues - a secluded 'donut' tent with central bonfire. 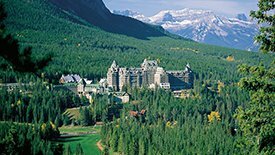 First class hotels, an iconic mountain castle, and wilderness lodges provide the perfect location to meet and capture the hearts and minds of your group as it captured those of the explorers who discovered the natural hot springs and initiated the National Park System. Tee off at one of the four championship gold courses and meet the local wildlife, perhaps even a bear!